Dr. Heller is a former nanny of 10 years and a licensed clinical psychologist. Dr.Lindsay Heller consults with families nationally and internationally as The Nanny Doctor. Dr. Heller has teamed up with eNannySource to bring your family vital information and guidance. She writes regularly for the eNannySource site and provides many of our families with private consultations to help new moms and dads make the best choices related to their finding, hiring and maintaining the right nanny for their newborn and older children. Video-The Nanny Doctor video on how to use an online nanny agency to hire a nanny. Video-The Nanny Doctor video on defining your family’s needs. Full-time nanny, summer nanny, nanny salary? Video-The Nanny Doctor on defining your family’s online job profile. Develop a good profile to interview quality nannies. Video-The Nanny Doctor explains nanny screening. 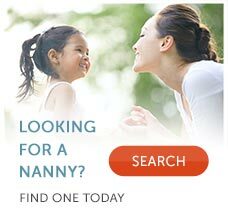 Narrowing down your nanny candidates to find the right candidates to interview. Video-The Nanny Doctor explains nanny reference checking, email screening and nanny reference checking. Video-The Nanny Doctor explains reference checking and the nanny background check. How to screen nannies for your newborn baby. Feel secure returning to work. When to Start Planning for a Nanny for your Newborn? Why should I hire a newborn care specialist? The Benefits of Babywearing and Your Nanny. Dr. Heller's In case of Emergency: Preparing Your Nanny and Family for Safety Success! The Nanny Doctor, Dr. Lindsay Heller gives tips to teach your nanny how to engage your newborn in stimulating play. Training Your First Nanny. Great Tips to get The Best Nanny Care for your Children.